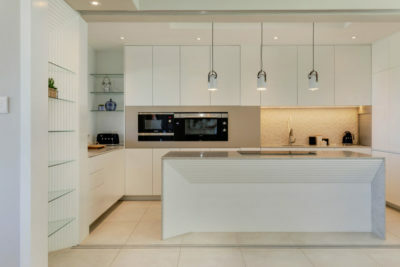 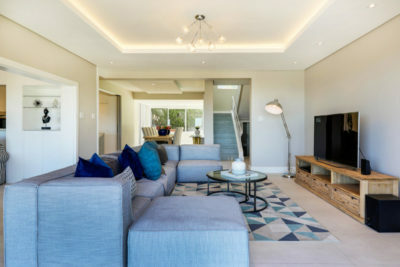 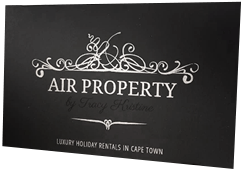 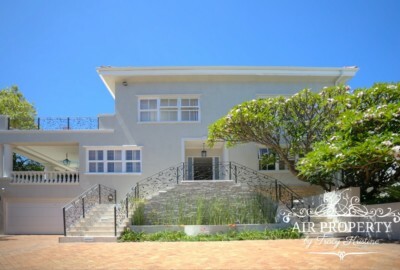 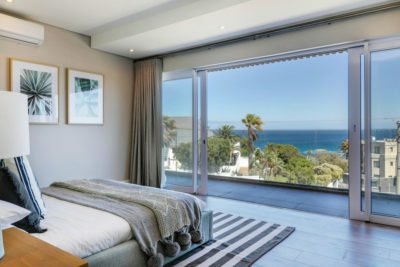 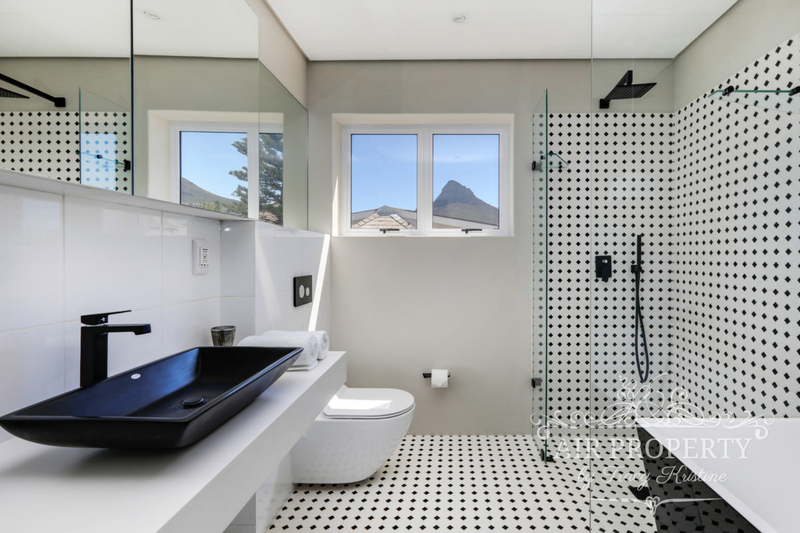 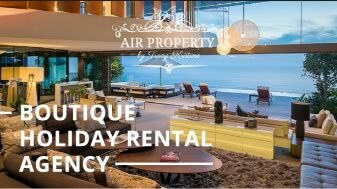 5 Bedroom Holiday Villa in Camps Bay. 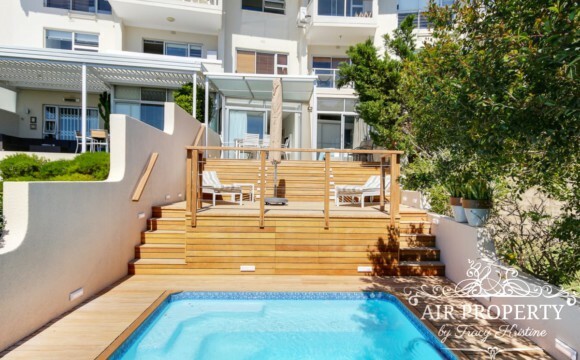 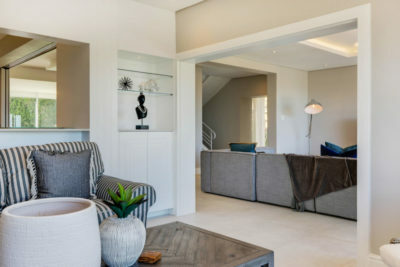 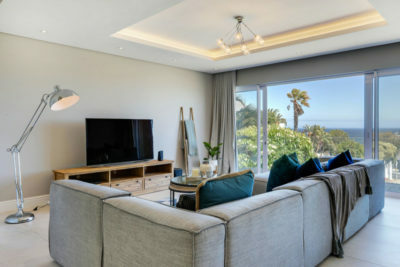 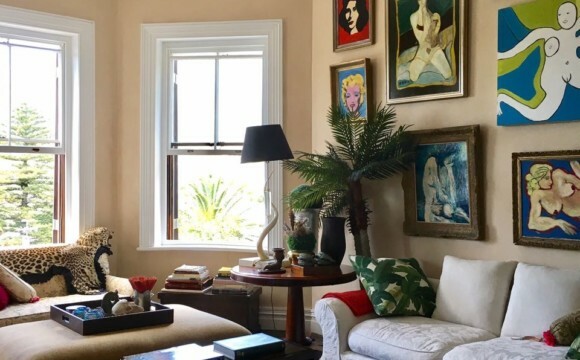 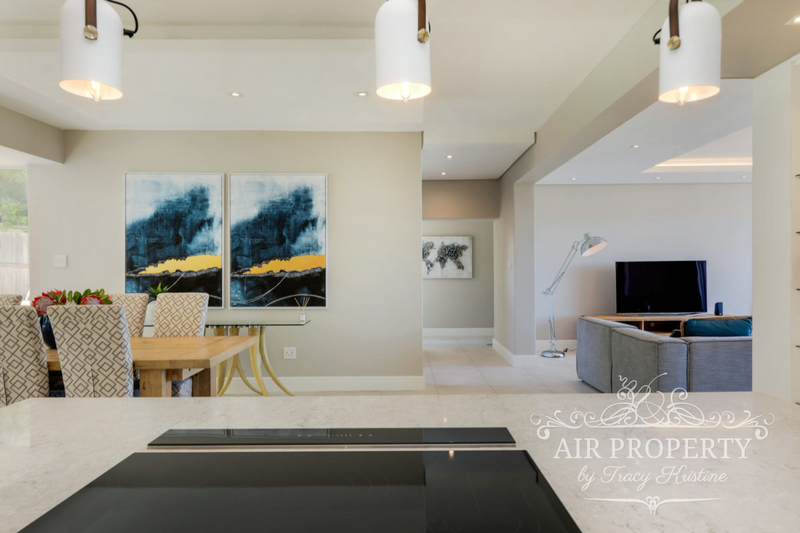 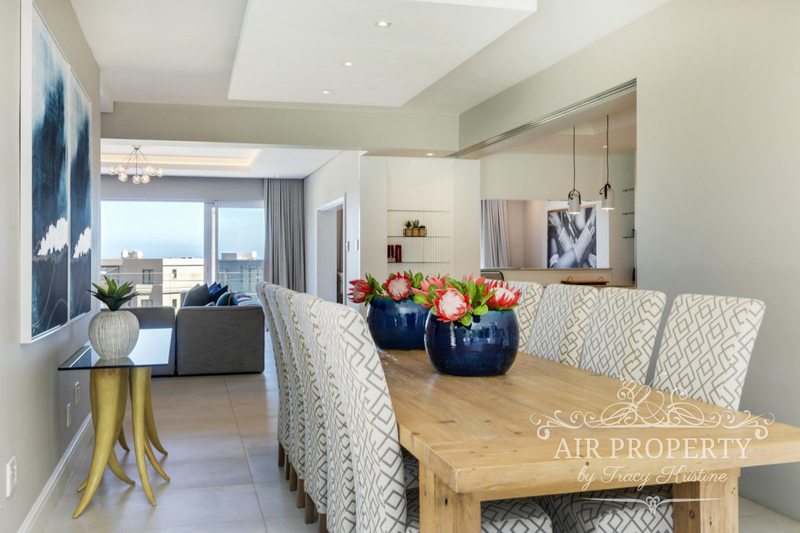 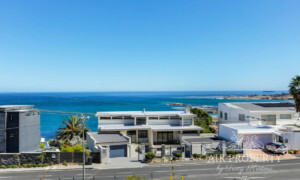 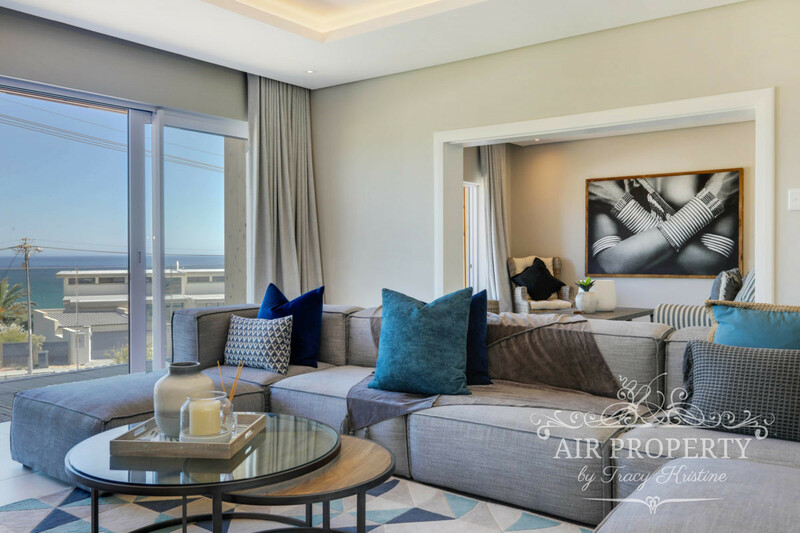 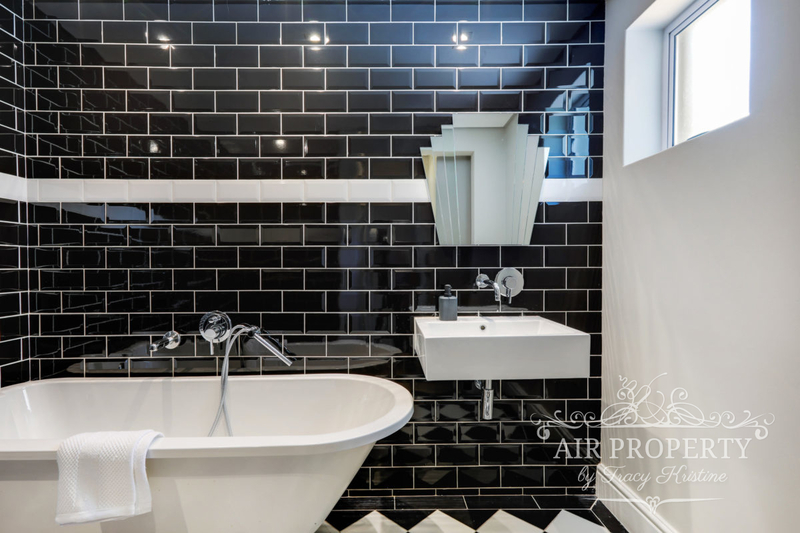 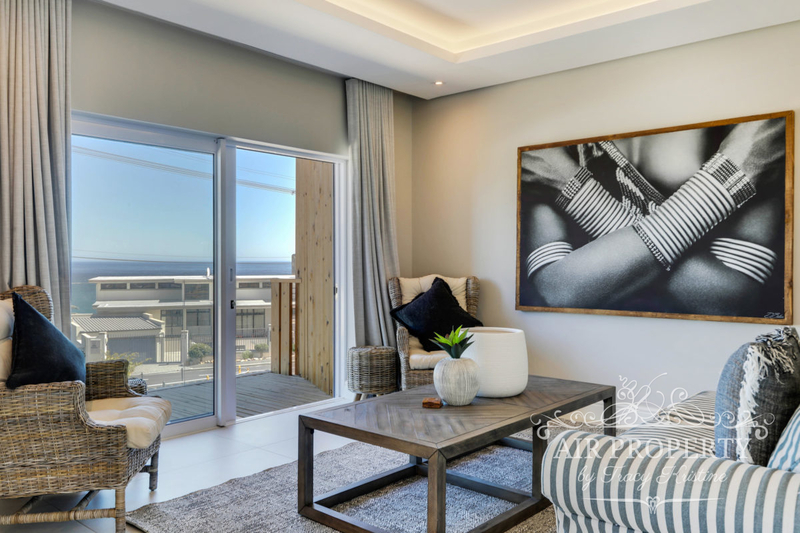 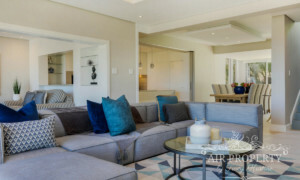 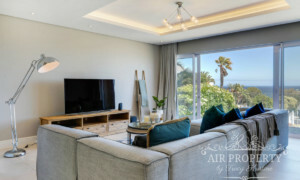 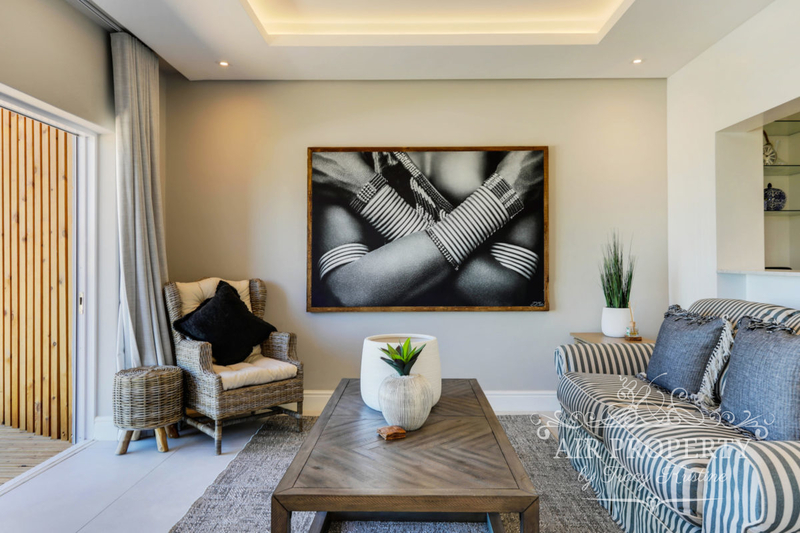 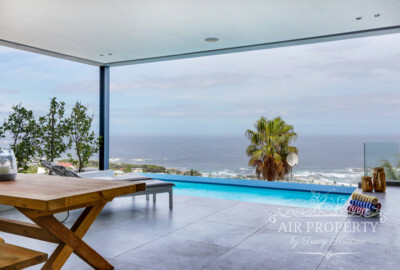 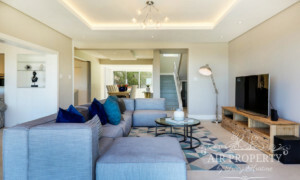 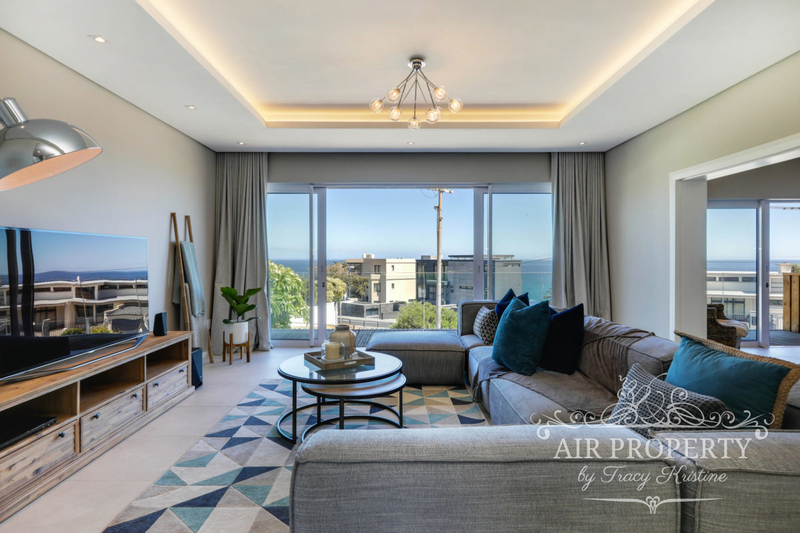 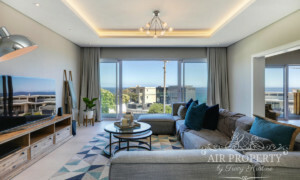 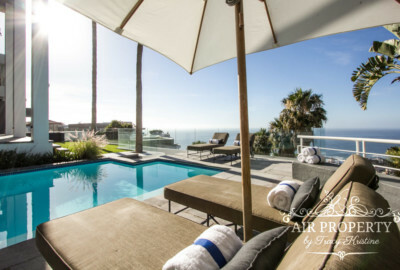 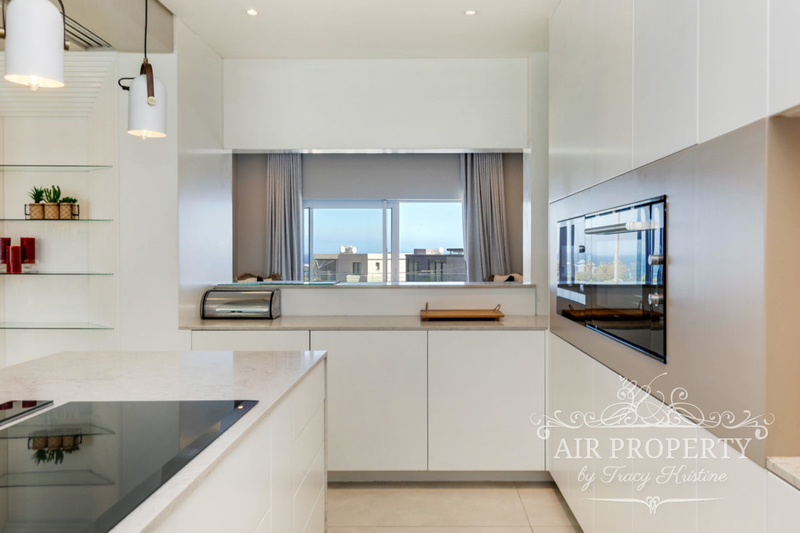 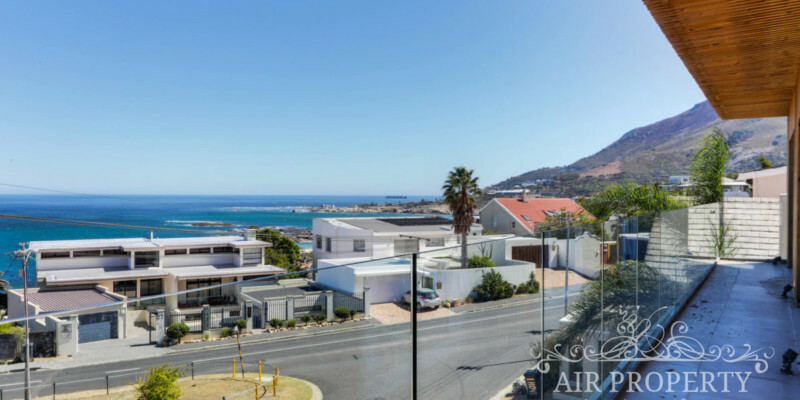 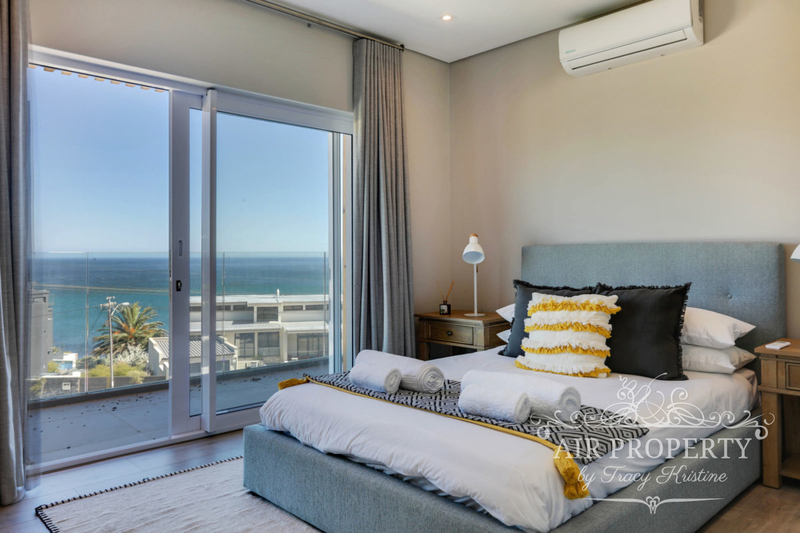 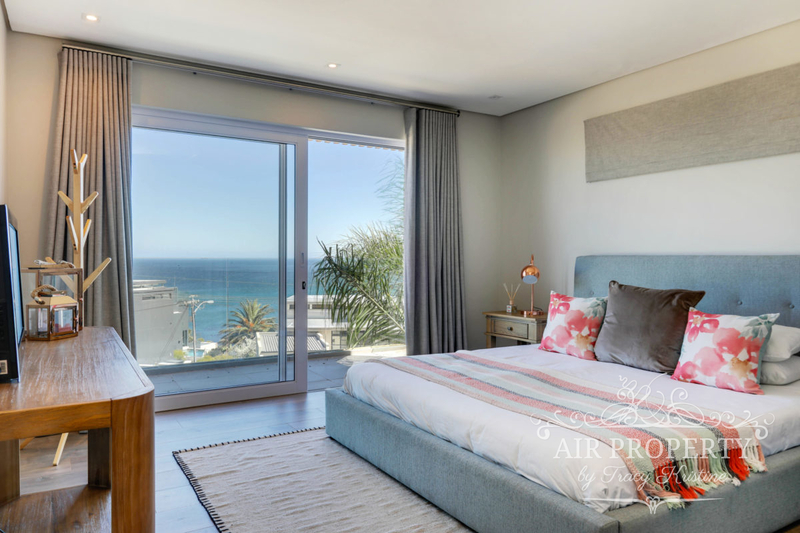 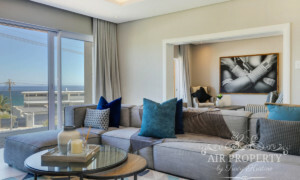 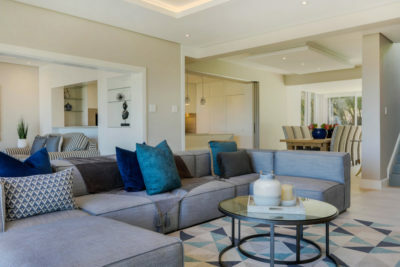 Perfectly located in the heart of Camps Bay, this villa is a large, modern home that offers stylishly decorated living spaces with an eclectic Art Deco touch, a wooden deck and swimming pool and beautiful sea views. The villa is split over two levels, with spacious, airy living spaces and one bedroom on the bottom level, and three comfortably furnished bedrooms on the upper level. 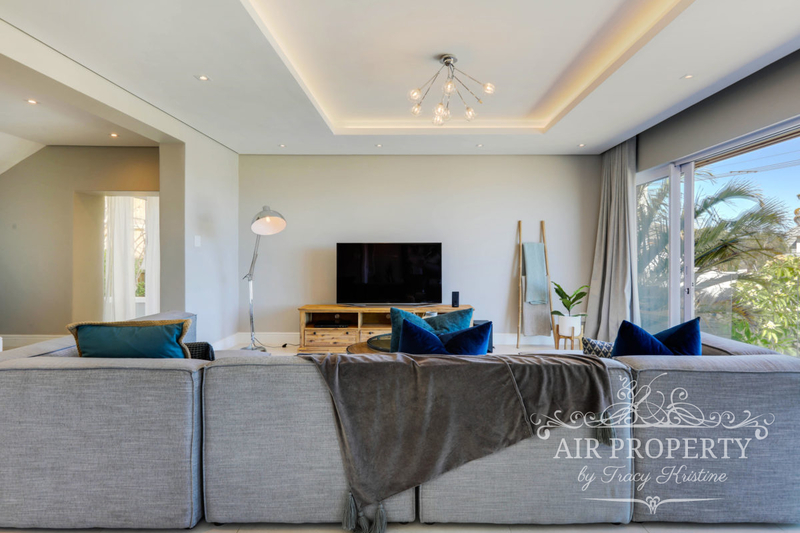 A lovely living room with plush leather couches and flat screen Smart television greets guests on arrival, which flows into a bright dining room with 10-seater dining table, both of which are decorated in calming, neutral tones. 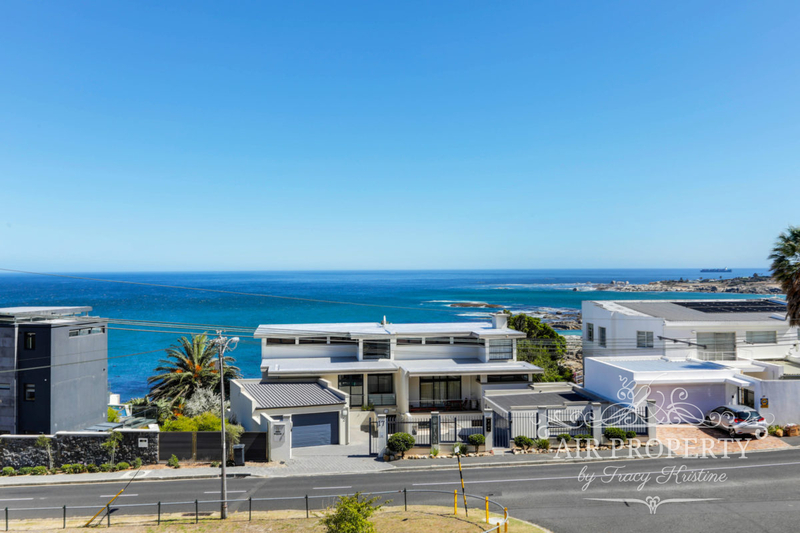 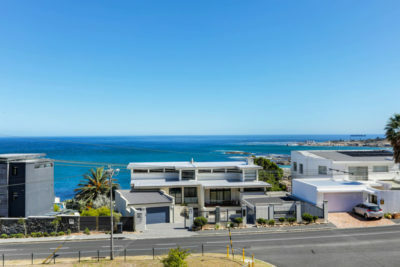 Both the living and dining rooms open out onto a shady sea-facing balcony with tables, chairs and beautiful ocean views and there is a small guest toilet in the entrance hall. 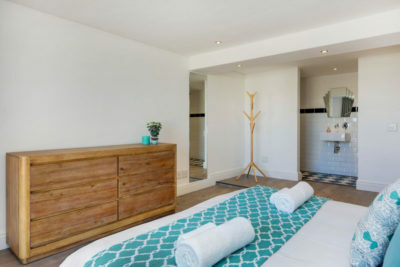 The house features a fully equipped kitchen with all the amenities necessary for comfortable holiday living, including a double fridge/freezer, microwave, oven, stove and hob and washing machine, dishwasher and tumble dryer. A black granite breakfast counter with two stools separates the kitchen from the dining room and is ideal for quick breakfasts and evening entertaining. 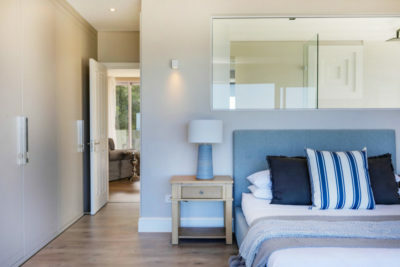 The bedroom on the lower level of the villa boasts a king size bed and bright en-suite bathroom with a shower and opens onto the pool deck with beautiful mountain views. 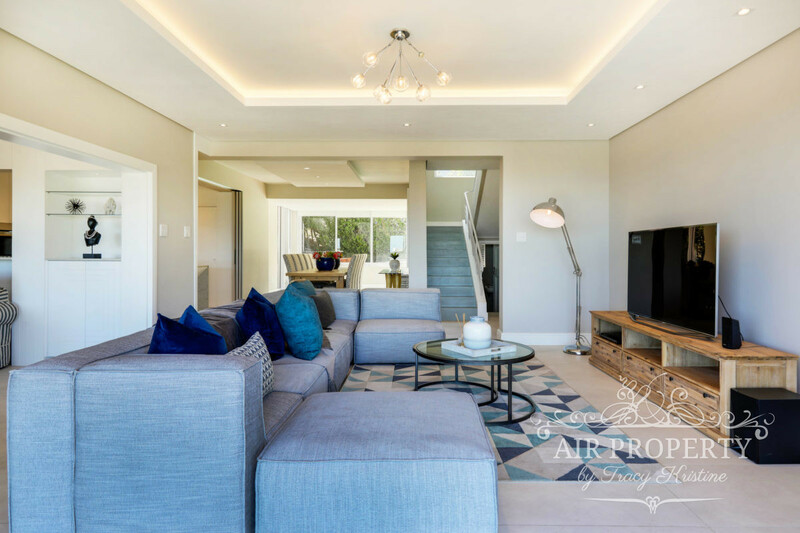 The second level houses the remaining three bedrooms, one of which has a sunny sitting room with access to the upper deck and sun loungers. 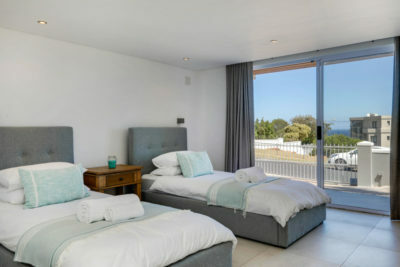 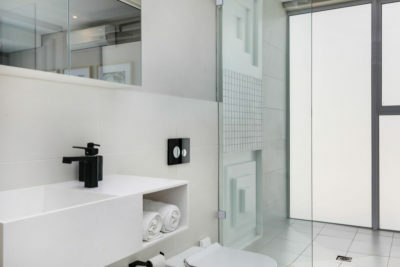 Two of the bedrooms feature king size beds while the third enjoys a queen-sized bed and all three bedrooms have white-tiled en-suite bathrooms with showers and one bath, are decorated with decorative Art Deco mirrors and enjoy air-conditioning throughout. The master bedroom has a cosy sun room with single couch and television and opens onto the upper ocean-facing wooden deck with sun loungers. 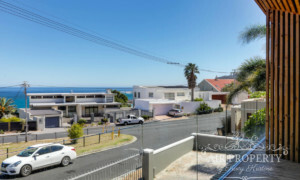 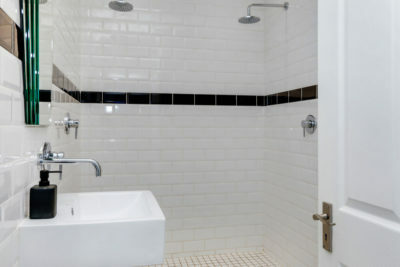 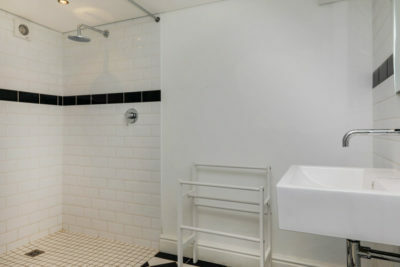 The house is fully secure with an alarm, has ample on-street parking for guests. 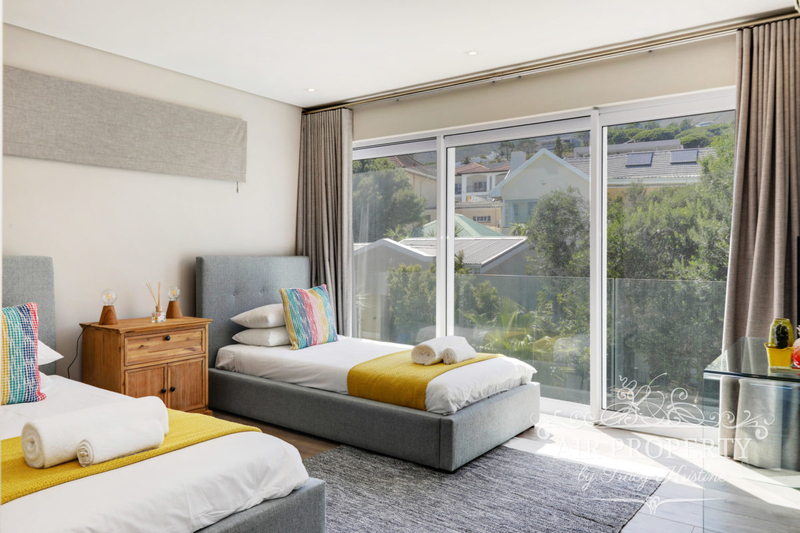 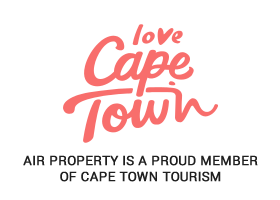 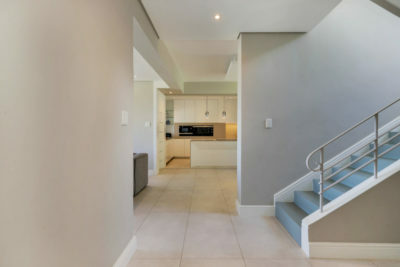 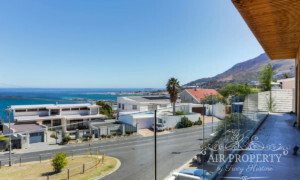 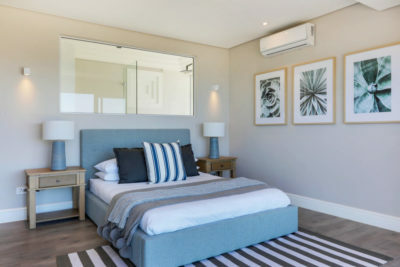 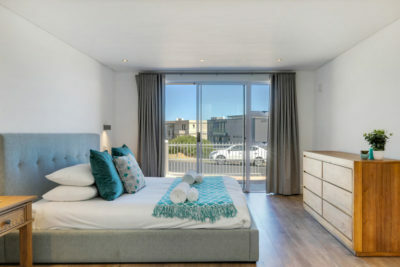 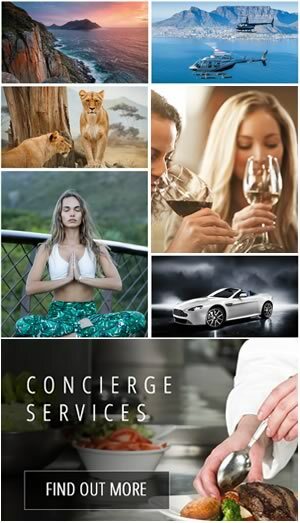 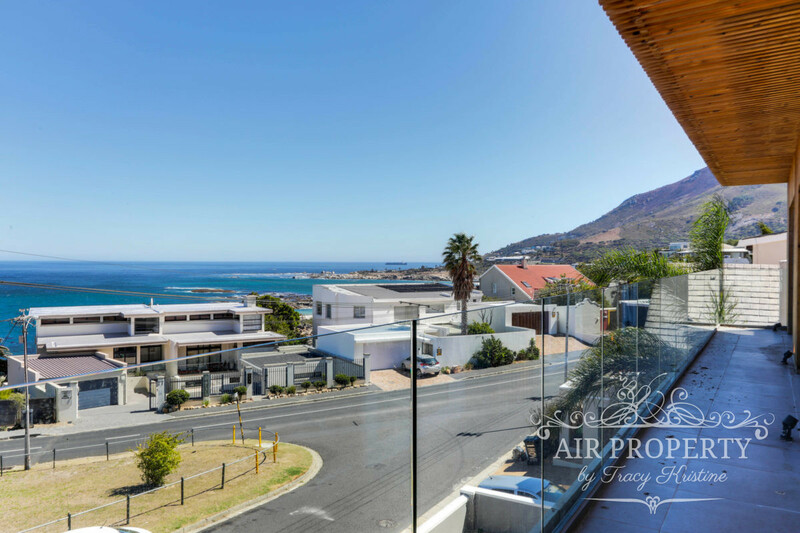 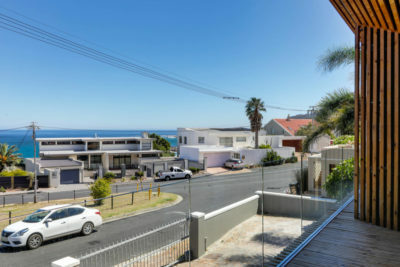 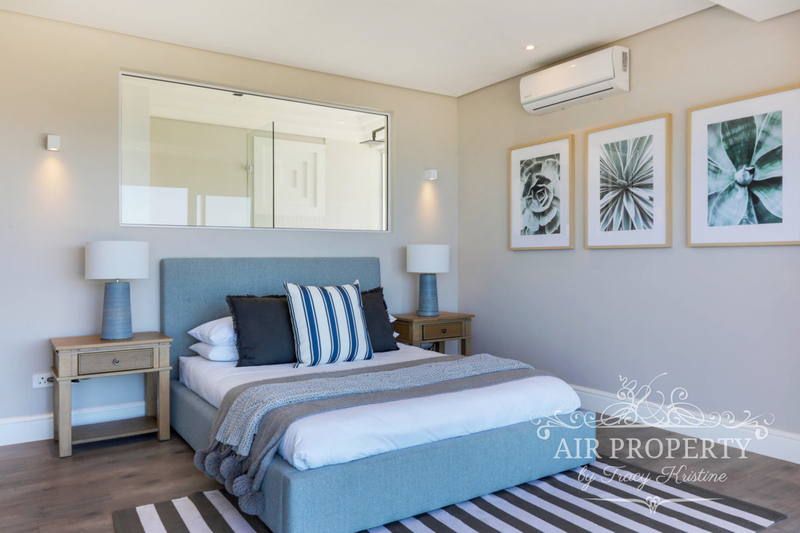 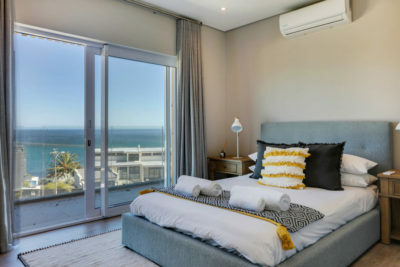 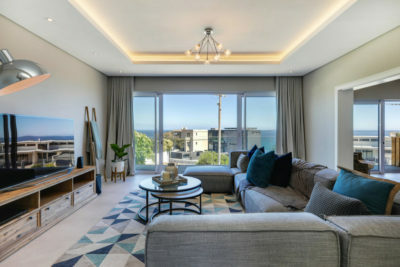 This villa is conveniently located in the heart of Camps Bay and a short drive will get you to the beautiful beaches of Camps Bay and Clifton, the V&A Waterfront and Table Mountain. 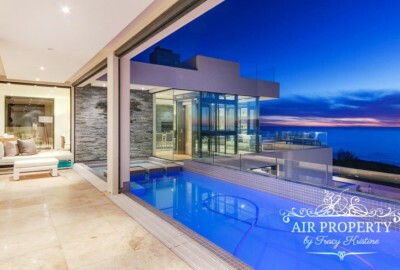 Please note: The pool is situated at the rear of the house under trees.